Updated on March 18, 2019. Dr. Ira Kirschenbaum, M.D., is one of the foremost orthopedic experts in the United States. Not only is he considered a top-notch orthopedic surgeon, but he also takes an active role in educating the public on the rapid advances that are being made in this important medical field. In a recent review paper, two of Dr. Kirschenbaum’s colleagues, Dr. Ishaan Swarup, M.D. and Dr. Joseph F. O’Donnell, M.D., summarize the long and rich history of this fascinating medical field. Historical perspective provides the context needed to understand the dynamic state of the orthopedic field today. At its core, orthopedic medicine, even before it was known by this name, has long provided practical solutions to common medical problems. It is the branch of medicine associated with correcting bone, muscle, and joint deformities and restoring physical function dependent on this musculoskeletal system. Dr. Ira Kirschenbaum comes from a long tradition of doctors providing practical solutions to physical injuries and the effects of age and poor health on bones, muscles, joints, and associated tissues. The field of orthopedics gained momentum as a modern medical specialty after Dr. Nicolas Andry wrote a highly influential book about the practical applications of orthopedic practices in 1741. The original book, “Orthopédie,” was written in French but it was quickly translated into English two years later, which gave it a much broader audience. Dr. Andry was a French physician of world renown, as well as a research scientist. He had also been appointed to the position of dean at the prestigious University of Paris (Faculté de Médecine de Paris) when the book was published. Dr. Andry’s standing in the medical community gave the book almost instant credibility and acceptance. The intended primary audience for Orthopédie were parents of children suffering from musculoskeletal deformities, although the book was also cited extensively by the medical community. Significantly, the cover of Orthopédie featured an engraved image of a young tree with a crooked trunk tied with rope to an adjacent stake to help straighten it out. It was largely due to this image that made the book catch on fire and helped to propel the success and influence of the book. Sometimes a picture truly is worth a thousand words and the visual of the little crooked sapling being straightened out by a stake immediately conveyed the practical principles of the burgeoning field of orthopedics to the masses. straightening out a crooked tree with a stake was a concept with which most people of the time would have been immediately familiar. Dr. Andry’s book is also the origin for the name “orthopedics” and it’s spelling variations in different languages. Dr. Andry explained in the book that he created the name “Orthopédie” using two Greek roots. “Ortho” means straight, not bent, crooked, or deformed. “Paidí” was the Greek word for child and this became “pédie” in French. Hence, “Orthopédie” literally meant “straight child” as Dr. Andry was stressing to parents how to correct deformities in the musculoskeletal system of growing children. Regardless of how far back in history we go, the orthopedic specialty focuses on restoring the proper form and function of muscles, bones, and joints. This includes repairing injured supporting tissues around the musculoskeletal system. In modern times, it’s important to recognize the significant role physical therapists play in the field as well, working hand in hand with orthopedic doctors to help patients restore form and function. They are the hand holders, the coaches, and the cheerleaders as patients heal after orthopedic surgery. Patient success is also very much dependent on the many hours they spend with their physical therapist(s) after their joint replacement surgeries. Today, knee and hip surgeries are the most common types of orthopedic surgeries and thus get most of the limelight in the popular press, although the basics of setting a broken bone, applying a splint or cast, and resetting a dislocated joint are still just as much a part of orthopedic medicine as it ever was in history. Still, modern orthopedic specialists like Dr. Ira Kirschenbaum rightfully receive a lot of news coverage because surgically replacing a faulty joint with artificial implants is almost nothing short of miraculous if you really stop and think about how far medicine has come in such a relatively short time. These joint replacement surgeries restore function and greatly improve the quality of life for patients. This is a good example of where science and modern medicine really hit home in the lives of everyday people. However, due to the hard work of Dr. Ira Kirschenbaum and his orthopedic colleagues, as well as major advancements in the equipment available to these doctors, a mere fifty years later, knee replacements, hip replacements, and other joint replacements are not only possible, they have become commonplace. Dr. Ira Kirschenbaum has also become a star in newer more innovative surgical approaches to joint replacement that involve less invasive procedures that reduce the recovery time and pain experienced by the patient during the recovery phase following the surgery. Research into the skeletal remains of Neolithic Stone Age people, about 4500 B.C.E., has discovered that about fifty percent of the fractures detected on arm and leg bones were healed in such a way to indicate they had been accurately set and then held in place with some type of splint or cast while they healed. To understand the significance of these findings, you have to understand that setting a fractured bone and keeping it properly stabilized in a splint or cast, so it can heal properly, takes specialized skill. Since there is good evidence that this was happening frequently in the ancient world, those who practiced this specialized skill must have been given some type of training. Further, this knowledge had to be passed down through the generations. Therefore, what we sometimes label as “primitive” today was actually quite advanced as far back as the last period of the Stone Age. In ancient Babylon, the skillful practice of bone setting was prescribed in Babylonian law at least three hundred years before these instructions could have been written down because the practice of writing on papyrus “paper” did not appear until around 1600 B.C.E. Therefore, this skillful practice, basically an ancient form of orthopedics, was likely taught orally for centuries. 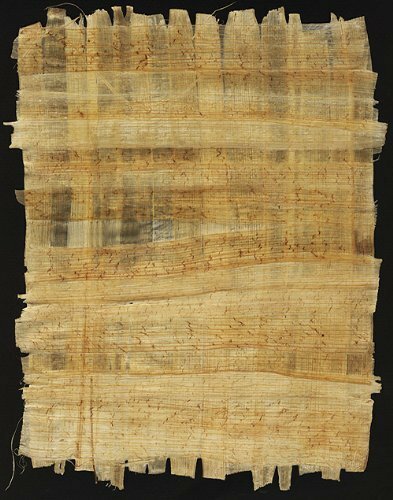 Further, the earliest writings on papyrus describe highly advanced detailed instructions for bone setting, adjusting dislocated joints, other orthopedic procedures, and amputations. Instructions included what position to put the patient in, how to get the broken bone to “fall into place” (literal translation), and how to make a cast or splint. It is fascinating to learn what materials were used to make splints and casts in different cultures around the world. To say the ancient world was resourceful in this regard would be an understatement. In Babylon, splints were made from linen and then bound with minerals. In many cultures, tree limbs or bark, selected only from certain species of trees, or other woody plants, were utilized. In Australia, archeologists have discovered that the ancient indigenous people made bone splints made from baked clay. In North and South American indigenous communities, splints were often casts were made by moistening animal hides, shaping them onto limbs, and then allowing the wet molded skin to dry in place, similar to a modern-day cast. Hieroglxrayyphs from ancient Egypt that dates back as far as 300 B.C.E. depict splint usage. One of the most distinguished documents about orthopedics was written in Egypt, and it was likely penned by Imhotep. He was a renowned architect, astrologer, politician and physician in Egypt. The document is commonly called the Edwin Smith Papyrus. It was discovered in the 1860s and is still recognized as the oldest surgical textbook. The book is very detailed and describes topics such as mandibular dislocations, spinal injuries, and fracture treatments. There are also specific descriptions for uncommon conditions such as torticollis and rarer occurrences such as art, which is the discharge that is associated with osteomyelitis. The Greeks and Romans also contributed to orthopedic history. The most famous Greek physician was Hippocrates. He is known as the “Father of Medicine” and the originator of the Hippocratic Oath that doctors still take today. His advanced knowledge of orthopedics is nicely preserved in a serious of texts called the Hippocratis Corpus, written between 430 B.C.E. and 330 B.C.E. These ancient Greek texts describe several reductive movements and shoulder dislocations. 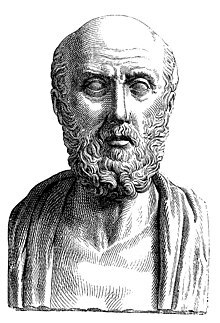 Hippocrates had great insight on movements and one of his methods is still used today to reduce dislocation in the anterior shoulder. Their procedures were so advanced, they developed special types of splints for fractures showing a different pattern. They even used biomechanics to reduce spinal column injury. The Hippocratis Corpus texts also describe clubfoot, infected open fracture treatments, traction principles, malunion implications and much more. Galen of Pergamon was a prominent physician and surgeon during the Roman Era. He lived from 129 A.D. to 210 A.D. While he made significant contributions to many scientific fields, he is well known as the physician to the gladiators of the High Priest of Asia. There is a colorful story about how he got this position. According to legend, he eviscerated an ape and then performed surgery to repair the damage, impressing the High Priest of Asia. During his four year tenure in this position, Galen became an expert at mending bone fractures and associated trauma. He provided profound descriptions of the musculoskeletal and nervous systems. Today, he is known as the “Father of Sports Medicine” for his insights and contributions regarding sports-related orthopedic injuries and conditions. After the Roman Empire fell, there were not many advancements in medicine for about a thousand years. Religious rules prohibited human dissection and in depth anatomical studies. Europe’s first medical school started in Italy during the ninth century. After a while, the University of Bologna became the first school to offer surgical studies and training. Guy de Chauliac was one of the most well-known surgeons of that era. He was a leader in establishing ethical principles and innovative fracture treatments. One of his specific suggestions is still used today for femur fractures that do not require surgery. His theory also echoed the importance of traction, which was originally suggested by Hippocrates and is still used today. Medicine started to separate from religion toward the end of the Middle Ages. The artist Leonardo da Vinci was one of the contributors in this period. His artwork inspired more anatomical studies and research. Surgeons and scholars who lived during this era became famous for their contributions, and many modern theories and practices are based on their original teachings. Ignaz Semmelweis, Robert Koch, and Louis Pasteur were just a few examples of people who were antisepsis and surgical management revolutionaries. When the field of orthopedics expanded quickly after the Renaissance, more hospitals were built, and many hospitals had special wards or areas for people with orthopedic injuries and conditions. In the late 1800s and throughout the early 1900s, medical facilities that were specifically for orthopedic patients started appearing. After the Roman Empire fell, there were not many advancements in medicine for about a thousand years. Religious rules prohibited human dissection and in depth anatomical studies. Europe’s first medical school started in Italy during the ninth century. After a while, the University of Bologna became the first school to offer surgical studies and training. Guy de Chauliac was one of the most well-known surgeons of that era. He was a leader in establishing ethical principles and innovative fracture treatments. One of his specific suggestions is still used today for femur fractures that do not require surgery. His theory also echoed the importance of traction, which was originally suggested by Hippocrates and is still used today. Medicine started to separate from religion toward the end of the Middle Ages. During the past century, infections were easier to control with new developments. As technology improved rapidly, more advancements were made. The development of X-rays was just one example of how technology transformed orthopedics. From osteoarthritis to fractures, X-rays are useful for diagnosing a wide array of conditions and injuries. Russell Hibbs developed a fusion technique for spinal surgery that revolutionized orthopedics as well. There were also great advancements in amputation and wound care. The first metal hip arthroplasty was performed in the early 1940s. Joint replacement followed that event under the leadership of Sir John Charnley about two decades later. Today, joint replacement surgeries are more common and are recommended for people with impaired mobility due to injuries or chronic conditions. Another notable orthopedic figure of today is Dr. Ira Kirschenbaum. He works for the Bronxcare Health System and serves as the Chairman of orthopedic surgery there. Dr. Ira Kirschenbaum completed his undergraduate studies at Brown University and studied medicine at Yeshiva University’s Albert Einstein College of Medicine. He completed a fellowship in Orthopedic Surgery at the Rothman Institute after he finished his residency. Dr. Ira Kirschenbaum went to Harvard Business School after he finished his medical training and earned a certificate in healthcare delivery management. After that, Dr. he co-founded Medscape and a few other notable medical organizations. Medscape went on to be acquired by GQ and WebMD. Along with his accomplishments in this area, he served as a Community Health Editor for WebMD. experience, Dr. Ira Kirschenbaum has completed thousands of joint replacement surgeries. He specializes in knee, hip and shoulder replacement surgeries as well as adult reconstructive surgeries. Dr. Ira Kirschenbaum has won several awards over the years for innovation, ethics and quality care. Before dedicating himself to the Bronxcare team, Dr. Kirschenbaum ran his own practice from 2000-2008. He also served as the Chief of Adult Reconstructive Surgery at Kaiser Permanente System. He is also the Advisory Chief Technology Officer for the Swiftpath program and the Chief Medical Officer for DTC Healthcom. In addition to providing quality care to his patients, Dr. Ira Kirschenbaum has been a long time member of the American Academy of Orthopaedic Surgeons and has served on the EHR Project Team since 2010. His dedication, hard work, and love for the field are part of what helps Dr. Ira Kirshenbaum stand out. Ultimately Orthopaedics is continually evolving with new technology, surgical techniques, and knowledge about the human body. Read on.